Hundreds of Steppe Eagles come to feed at a carcass dump in Jorbeed, Rajasthan. The carcasses are free of toxic substances that could result in death, such as Diclofenac. The use of Diclofenac as a veterinary drug in cattle can cause kidney failure even in the Steppe. Diclofenac was the root cause of the Indian Vulture Crisis. 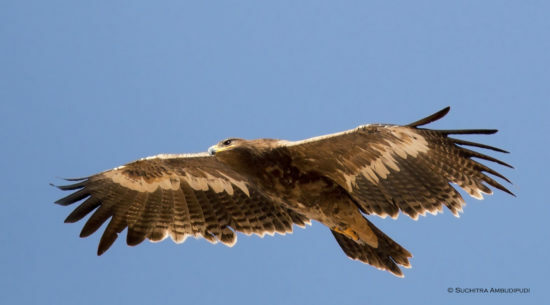 The Steppe Eagle is an endangered species that is urgently in need of protection.